Browse Durango's food and beverage retailers. 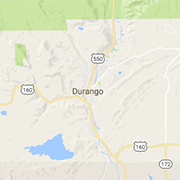 Durango's finest gourmet food shops, candy makers, chocolate shops, liquor stores, bakeries and other specialties are here! Durango's largest and best selection of wine, beer & spirits. Come visit our 9,000 sq. ft. elegant warehouse on Florida and 250.